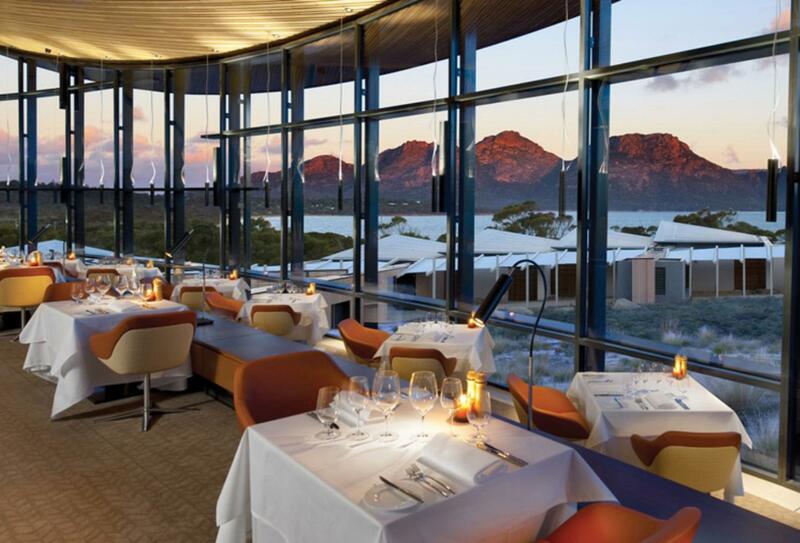 Awarded the World’s Best Boutique Hotel of 2014, Saffire Freycinet was designed by award-winning Tasmanian architects. The buildings are conceptually organic, designed specifically to reflect the surrounding natural environment. 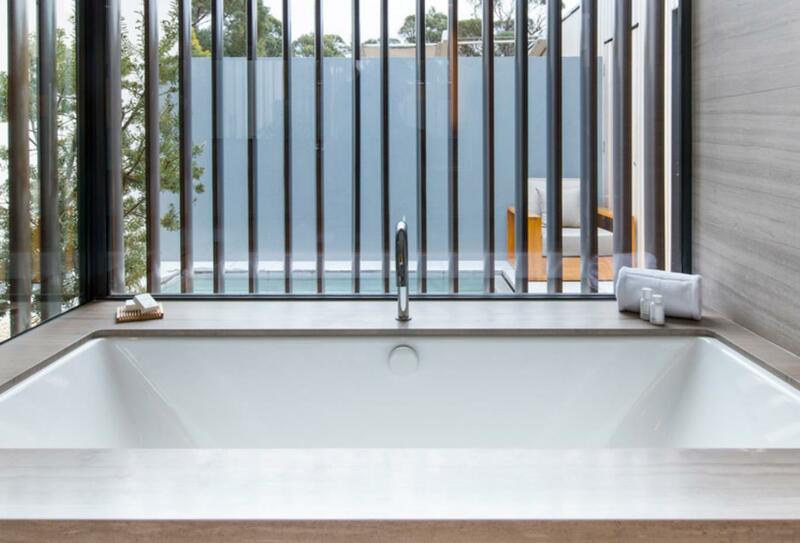 Each suite at the lodge is exceptionally large, with natural tones and a refined use of materials such as Tasmanian oak and honed marble. The main lodge area houses the restaurants and there is also a leisurely barbeque area as well as a gym and luxurious day spa. 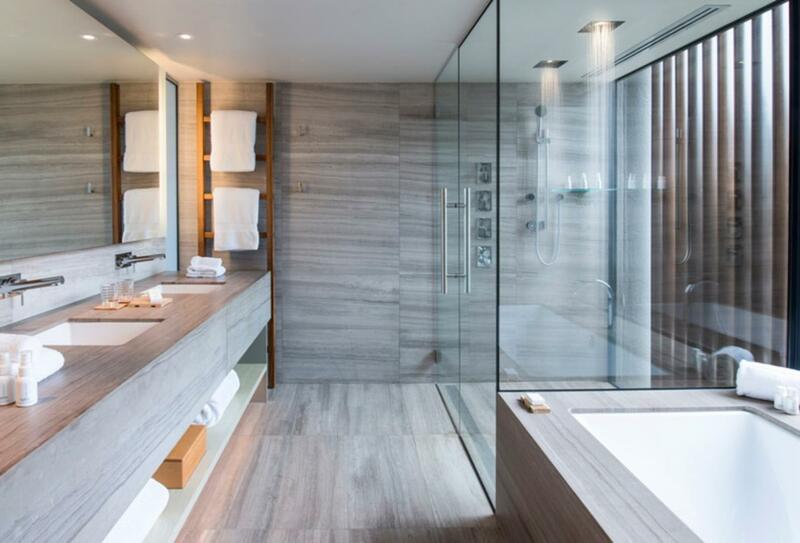 The Luxury Suite are spacious with sleek designer touches. 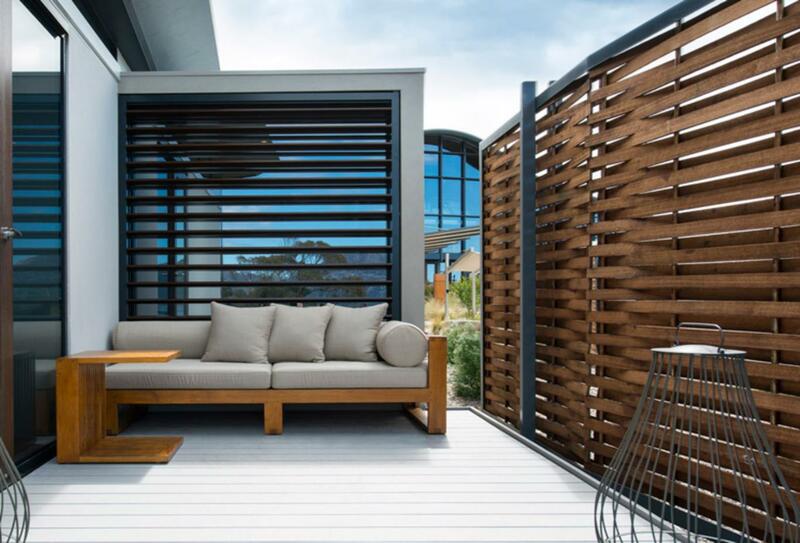 These suites are covered in Tasmanian timber and have a separate living room that leads on to a private courtyard and deck with outdoor seating – perfect for romantic evenings under the stars. The Private Pavilion is a spacious, luxurious abode that has a vast living and dining area and a bathroom that offers a double shower and large bathtub. The kitchen and dining space is ideal for in-house dining, or invite the hotel’s chef to cook in-room. 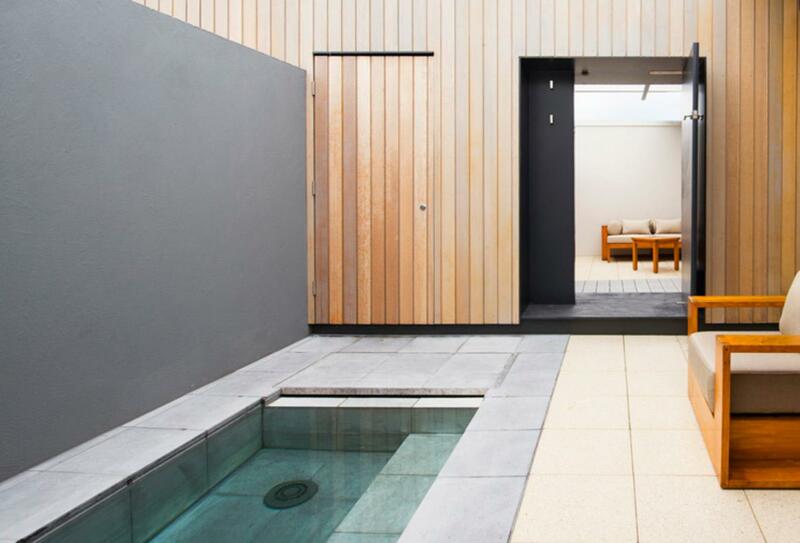 Outside there is a plunge pool and private courtyard. 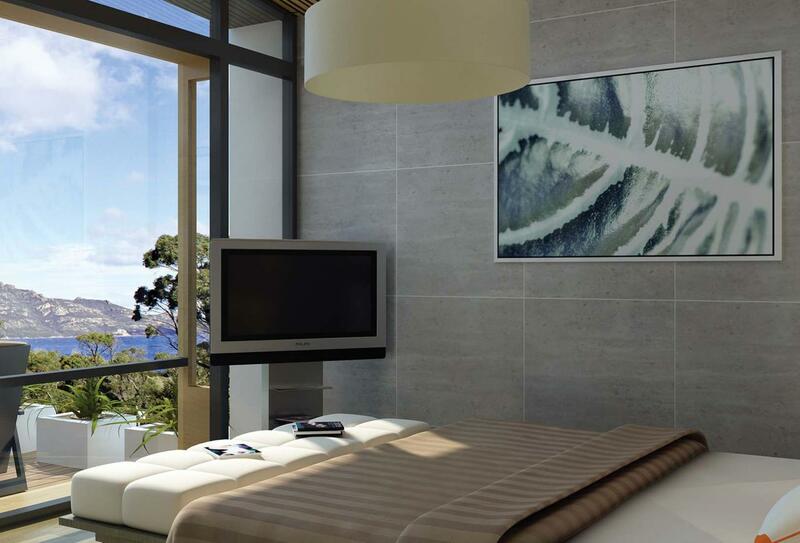 There are 10 Signature Suites at Saffire Freycinet and each one has a large living room with Great Oyster Bay views. Mid-century-come-modern designs suite the appointed abode and compliment the sleek decorations in the bathroom. Outside there is a deck with an outdoor lounge and a private courtyard. Saffire rates are based on a per suite per night basis for up to 2 people. Costs apply to additional bedding. Saffire rates exclude premium beverages and Signature Experiences. This hotel operates an All-inclusive board basis; full details may be found under our All-inclusive section. Palate Restaurant is perhaps the most exclusive restaurant in Tasmania. Enjoy tailor-made gourmet meals that are enhanced by local, home grown produce. 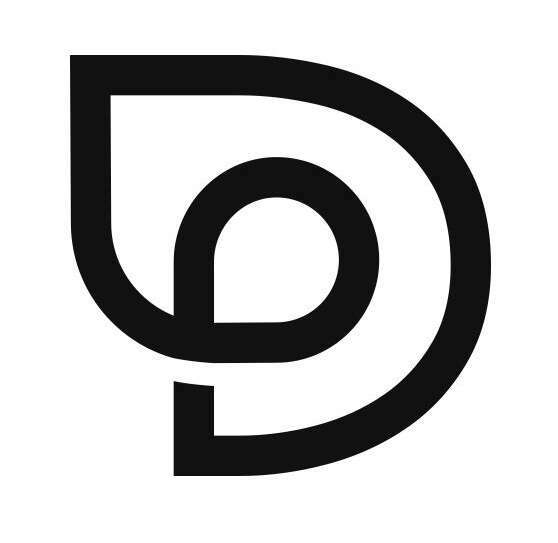 The multi-course menu is extensive with an emphasis on experimentation with delicious new flavours. Guests need not fear as there is also a daily changing a la carte menu. The Lounge is the ideal social and relaxation spot where you can either grab a book from the library or enjoy a drink at the bar with friends. 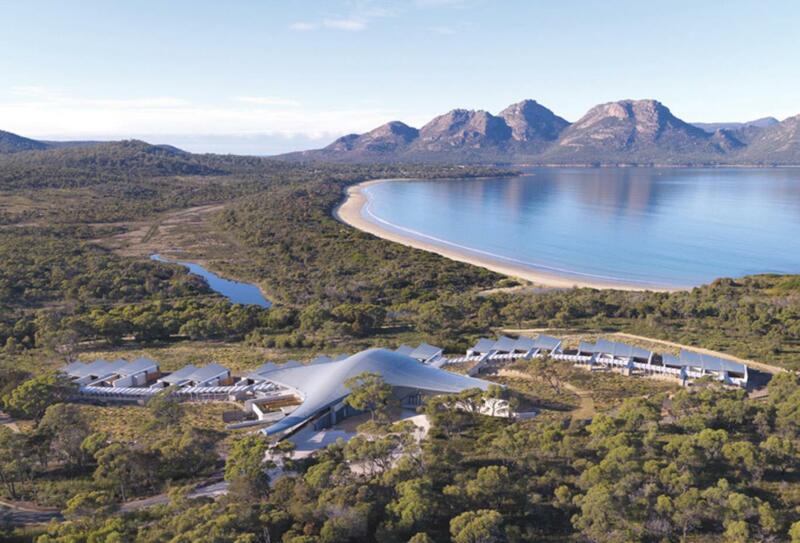 Saffire Freycinet is located in an advantageous position overlooking Great Oyster Bay and The Hazzards.